If you are interested in purchasing or commissioning a work please do get in touch. You are very welcome to visit my studio and take a look: there is no better way than seeing the actual work! 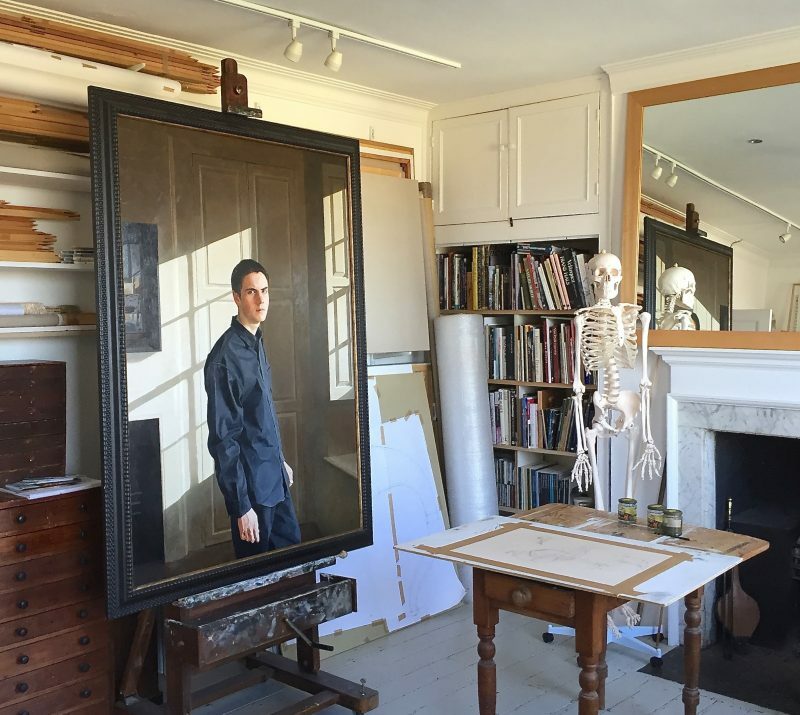 Studio visits are by appointment only and can easily be arranged using the contact form. If you are unable to visit, I am very happy to discuss ideas on the phone and email you with further images or answer any questions. You are under no obligation at all. My work is created using professional artists quality materials and wherever possible archival materials and methods. Framing can also be arranged if you wish. I am very happy to talk through the process on the phone and answer any questions. A portrait will generally take two to three months from initial sketches to the finished work, depending on circumstances. We would typically begin with an initial meeting to discuss the project, the timescale and look at potential backgrounds, dress and possibly even where the portrait might hang. Please feel free to contact me for an individual quote. Obviously, this will be confidential and entirely without obligation.